MARTINSVILLE, V.A. 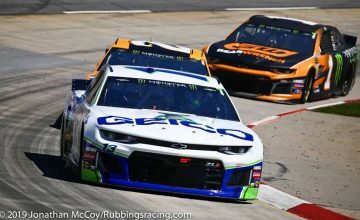 — Running a condensed weekend schedule, Monster Energy NASCAR Cup Series teams had just two practices sessions to setup their cars for qualifying, and the race. 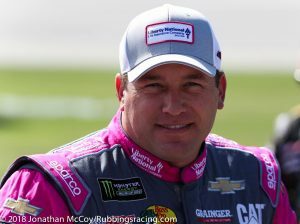 Qualifying is set to be run at 4 p.m. Saturday afternoon, following the NASCAR Camping World Truck Series race. After qualifying NASCAR will impound the race cars, restricting teams’ ability to change their car from qualifying trim to a competitive race setup. Brad Keselowski was fastest in the first of the two practices run on Saturday, for Sunday’s running of the 70th annual First Data 500 from Martinsville Speedway. His lap time of 19.784 seconds was 0.014 faster than Kurt Busch’s hot lap. Already eliminated from the playoffs, Keselowski will look steal victory lane from the eight remaining playoff contenders. Of the playoff drivers, five were inside the top-10 on the first practice’s speed chart. Kurt Busch was second, his brother Kyle Busch was third, Aric Almirola was fifth, Martin Truex Jr. was sixth, and Clint Bowyer was seventh quick. The three remaining playoff drivers, Kevin Harvick, Chase Elliott, and Joey Logano were 11th, 16th, and 20th, respectfully. On the 10-lap average side of the board, things were a bit different. Truex had the fastest average speed, 94.804 mph, nearly a full tenth of a mph faster than Almirola. 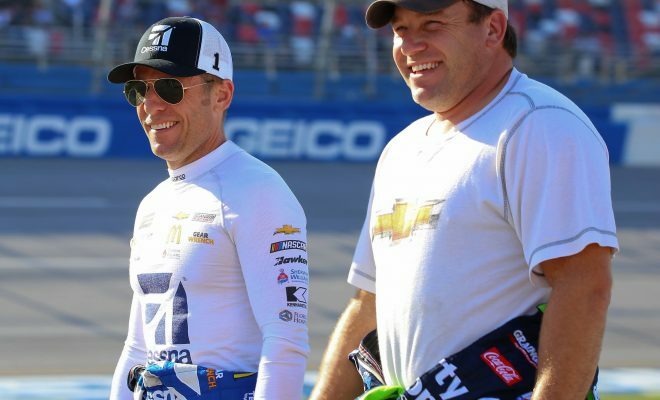 Almirola’s teammate, Bowyer was third quickest in the discipline. Denny Hamlin and Kyle Busch were fourth and fifth. 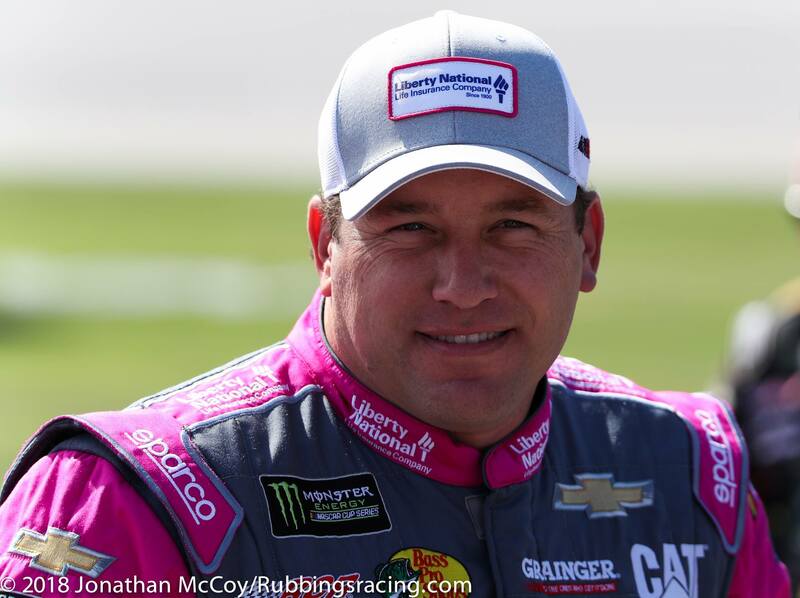 Making his final start at the track known as the paperclip, for Richard Childress Racing, Ryan Newman was the fastest in single lap times in final practice. The driver, who was once known as rocket man, was 13th quick in the first practice. Elliott laid claim to the second position in happy hour, making him the fastest playoff driver in the final round of practice. Someone he’ll be battling with down the stretch towards the championship is Kyle Busch, he was third quick in the on track session. Keselowski, who was eliminated from playoff contention last week, at the end of the round of 12 drivers, was fourth quickest. A.J. Allmendinger drove his way into the top five of the speed chart. 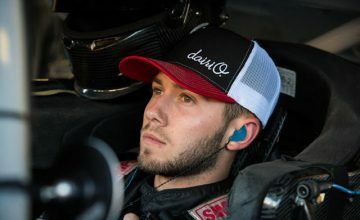 He’ll be leaving JTG Daugherty Racing at the conclusion of the season. Historically this track has been kind to the journey-man driver. Bowyer, Erik Jones, Ty Dillon, Truex, and Harvick rounded out the top-10 in final practice. 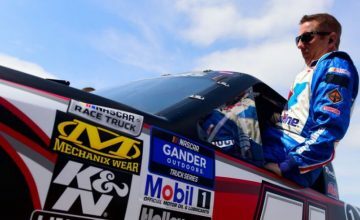 Kyle Busch, who got his first win at Martinsville Speedway in the spring of 2016 and a second last Fall, is poised to make a return to the championship four. That run at a second championship will begin on Sunday at Martinsville. “I’m not so sure that you can just advance on points even in our situation where we’re at. The way that all eight of these guys have been running lately, there’s an opportunity for let’s say the bottom three guys, whoever they are – if they win and (Kevin) Harvick has a better three races than we do, he’s in on points versus us. I’m not so sure – that situation can happen – I’m not so sure that situation will happen, I hope it doesn’t, but I would like to think that you still have to go out there and kind of push the issue to win a race.